Hello users of this site. I have a Nokia 6310i from 3 years but in this mom i have the posibility to change with a Motorola v525 and i dont know what to do. Help me with your opinion! thx. Its the BEST phone made ever, with a battery back-up of more than 3 days ,supports Blue Tooth...... I bought it 3 Years back , but still it has not given me any problems !! BEST ever Phone !! And i meant that! Best signal best battery,,!! Buy it in 2002 and goes perfect !! best phone ever made!i had most of models from nokia and othres brands,if you have the oportunity to choose from 10 phones you wil finaly put your sim card in this one.best signal, no compare with "new gadgest like samsung e 820 or d500,or others ericsson, or siemens.make a test:put 10phones to call in the same time on a number, all in the same network,ahd one of the to be a 6310i....you will be surprised by the result. Power phone along with the 6210 which does the business better than other handsets. It should be noted that The 6310i will allow you to send/receive concatenated sms as well, upto 3 sms in length, not 160 characters as so often specified. My phone is locked with a security code. 12345 does not work. How can I solve this situation? Can I flash software? the best phone nokia ever made sadly missed by all get 1 keep it look after it 10/10 bring it back nokia!!! 6310i is the KING of mobile phones. Nothing comes even close to it. The ultimate true mobile phone. 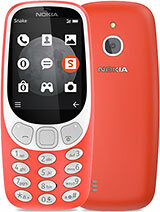 I'm interestig on buying a 6310i Nokia.How can i buy one?I'm from Romania,Ploiesti. The best phone ever !!! Why ? It's a simply mobile phone !!! It has all what a mobile phone needs !!! Congratulations NOKIA !!! One of the best phones I used, very good keys, easy to use, and battery is a real piece of work. On the webpage on your site, it details that the Nokia 6310i has "Enhanced user interface for email over SMS". However, when I try and use this facility, it asks me for an Email Server Number (Vodafone). Do you know what number this is? I've tried Vodafone and Nokia without success. I'm using this phone now over 5 years there has been no problems with the phone at all this is very good phone..........so far I used .